Standing before the podium with his reading glasses perched on his nose in a Really Serious Position, former FBI Director Louis Freeh read the summary of his damning report on what happened at Penn State University. The university, he intoned, was directly responsible for permitting Jerry Sandusky, the former football team defensive coordinator and now a convicted child molester, for preying on young "troubled" boys. Not being familiar with the details of the report or the Sandusky case and the role of Penn State officials in trying to hide what they feared was happening, I will ask readers to judge the accuracy and tone of Freeh's report and make their own assessments. However, before the media and legal world goes on to paint Louis Freeh in the most heroic terms, I would remind readers that probably any one of us could have written that report and made the same damning comments made by Freeh and his underlings. It hardly is heroic to come upon a situation after the fact and to write those things which apparently were obvious in hindsight. No, I am writing in order to let readers know that this "heroic" Louis Freeh has some serious baggage of his own, baggage that includes covering up murders, whitewashing the most hideous domestic massacre since Wounded Knee, publicly making wrongful accusations, and further turning the Federal Bureau of Investigation into an entity that James Bovard accurately has called, "A Stasi for America." Louis Freeh does not deserve our praise; indeed, he does not even deserve our scorn. Instead, he deserves to be sitting in a cell at the federal Supermax Prison in Colorado, as the crimes he committed during his years at the FBI pale in comparison to anything done by Paterno, whose legacy Freeh has destroyed, or even Sandusky ever did. If the charges for which Sandusky was convicted are true, then the man truly was a monster and needed to be caught. His victims will be scarred for life — but they will be alive and can seek healing. However, one of the victims of Louis Freeh, Katherine Andrade, cannot seek healing because she was incinerated at Waco in 1993 as a result of the direction actions by the man who now stands in judgment of Joe Paterno. …CS gas was delivered via 54-ton tanks driven by FBI agents. The tanks smashed through much of the Davidians' home and intentionally collapsed 25 percent of the building on top of the huddled residents. The FBI knew the Davidians were lighting and heating their residence with candles and kerosene lamps and had bales of hay stacked around the windows. The FBI also knew that "accumulating [CS] dust may explode when exposed to spark or open flame," as a U.S. Army field manual warned. Six years after the assault, news leaked that the FBI had fired incendiary tear gas cartridges into the Davidians' home prior to a fire erupting. Attorney General Janet Reno, furious over the FBI's deceit on this key issue, sent U.S. marshals to raid FBI headquarters to search for more Waco evidence. From start to finish, the FBI brazenly lied about what it did at Waco — with one exception. On the day after the Waco fire, FBI on-scene commander Larry Potts explained the rationale for the FBI's final assault: "Those people thumbed their nose at law enforcement." Freeh's assault killed 80 people in broad daylight, but Freeh and his agents had something that neither Sandusky nor even Paterno never had: control of the legal process that ensured no one from the FBI that committed crimes that day would have to face even a hint of justice. That is because Freeh was able to use his powers as FBI director to block inquiries, cover up any wrongdoing, and control the direction of congressional investigations that followed. On April 19, 1993, FBI agents relied on commercial, off-the-shelf ammo — the type that would be used by any hunter or shooter. For the March 19, 2000, (Sen. John) Danforth-FBI reenactment, the FBI used military-issue ammunition that had a special chemical coating on the gunpowder to reduce muzzle flash (helpful in preventing soldiers from being detected in combat). The military ammo thus had a built-in flash suppressant. Since a key issue was the length of the muzzle flashes, using flash-suppressing ammunition ensured that the reenactment would be a farce. The Danforth-FBI reenactment further biased the test results by having the FBI agents use weapons with 20-inch barrels — instead of weapons with 14-inch barrels which agents carried on April 19, 1993. The longer a weapon's barrel, the less muzzle flash will be shown from each shot. This is a tricky way to do an accurate reenactment. But the reenactment produced the politically correct result, and Danforth proceeded to denounce the American people for thinking bad things about their federal masters. No doubt Danforth, the FBI, and others will continue to insist that there was no gunfire by FBI agents on April 19, 1993. But if the feds are innocent, why have they gone to such absurd lengths to conduct the tests in such a manner? This is what the ancients once might have called a "cover-up." Notice that Freeh never had to worry about being cited for doing what essentially is criminal activity (called "obstruction of justice") even as he has accused Penn State officials of obstructing investigations into what Sandusky was doing. The difference is that the now-dead Paterno has a tarnished legacy, Sandusky is in prison, and two Penn State officials face criminal charges for allegedly hiding information about crimes that were committed. 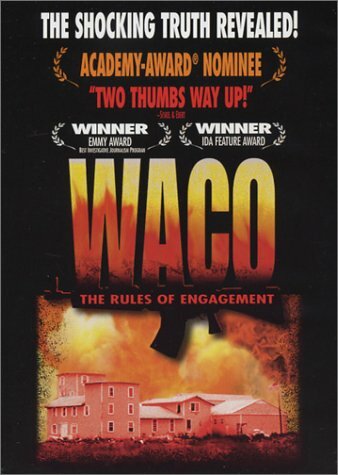 Freeh's legacy of hiding murder and mayhem does not begin and end with Waco, however. The 1995 murder of Kenneth Trentadue in the Oklahoma City federal lockup also has been legally covered up, thanks not only to Freeh, but also to the Clinton administration's legal "fixer," Eric Holder, the present U.S. Attorney General who now stands accused of covering up crimes related to the "Fast and Furious" program that has exploded in his face. In the aftermath of the 1995 Oklahoma City bombing, the FBI actively was searching for the "John Doe Number Two" who supposedly accompanied Timothy McVeigh, and when Trentadue was arrested by federal officials in California ostensibly for violating probation, the FBI sent him to Oklahoma to be further questioned. Shortly after arriving at the federal lockup, officials supposedly found Trentadue dead in his cell after allegedly hanging himself with a bed sheet. The victim was Kenneth Michael Trentadue. At 7 AM on August 21, 1995, officials from the Oklahoma Medical Examiner‘s office arrived at the new Oklahoma City Federal Transfer Center for the body of a man recently picked up for parole violation who allegedly was a suicide by hanging. The astonished state officials saw a body with scalp split to the skull in three places, throat slashed, and a body completely covered in blood, bruises and burns. As law requires, the officials asked to see the cell in which the alleged suicide occurred. Federal officials pulled rank and refused on the grounds that a federal investigation was underway. A federal investigation was not underway. The state officials told the prison officials that the body’s condition required FBI notice and protection of the cell as an undisturbed crime scene. Associate Warden Max Flowers, however, ordered the cell to be cleaned before any investigation could be done. Flowers claimed that medical staff informed him that Trentadue was HIV-positive and that it was urgent to remove the infectious blood. Because this is a case with many twists and sidetracks, one should listen to Lew Rockwell's interview with Jesse Trentadue available here. Once again, we see how Louis Freeh and his underlings were able to get away with a number of serious crimes ranging from murder to obstruction of justice. Compared with murder and covering up the crime, a false accusation from Freeh's FBI would seem to be minor, but the way that Freeh and the FBI handled matters in the 1996 Olympic Park bombing demonstrated the outright criminal mindset that seems to govern that organization and is part of Freeh's enduring legacy of lies and incompetence. Following the bombing in Atlanta during the Olympic Games, the FBI quickly fixated itself upon security guard Richard Jewell, who was the first to suspect that the backpack left alone under a bench might contain a bomb. The bomb exploded with one person killed, but in the aftermath, Jewell was a hero for having acted quickly. However, the FBI decided via one of its vaunted "profilers" that the pudgy guard was the person who made and planted the bomb. Not surprisingly, the FBI began to leak to the media that Jewell was their man, and he was subjected to the horrors of the media rush to judgment, something that seems to be a permanent fixture in U.S. culture. Jewell, who died in 2007, ultimately was exonerated but not before the FBI and its Progressive media allies had ruined his reputation. While Freeh denied having anything to do with the leaking of false information, nonetheless he was in large part responsible for the lawless culture of the FBI which encouraged agents to act recklessly and dishonestly. As Louis Freeh presently basks in the media adulation that he does not deserve, one should remember the man's own legacy, one that never will be tarnished because the Progressives that control the media and this country's politics will never permit such a thing to happen. Freeh no more deserves to be on a podium criticizing the “culture” of Penn State University than would John Edwards deserve to give a sermon condemning adultery. What happened at Penn State was wrong and it should not have been allowed to continue. However, what Freeh did while heading the FBI makes the worst abuses at Penn State look to be a pleasant walk in the park. If anything, the fact that Louis Freeh is permitted to stand in judgment of others is proof that our present political culture is so broken that it is beyond repair. Why Is Insulin Resistance So Dangerous to Non-Diabetics?